Formula 41 is a high quality protein enriched Koi food. 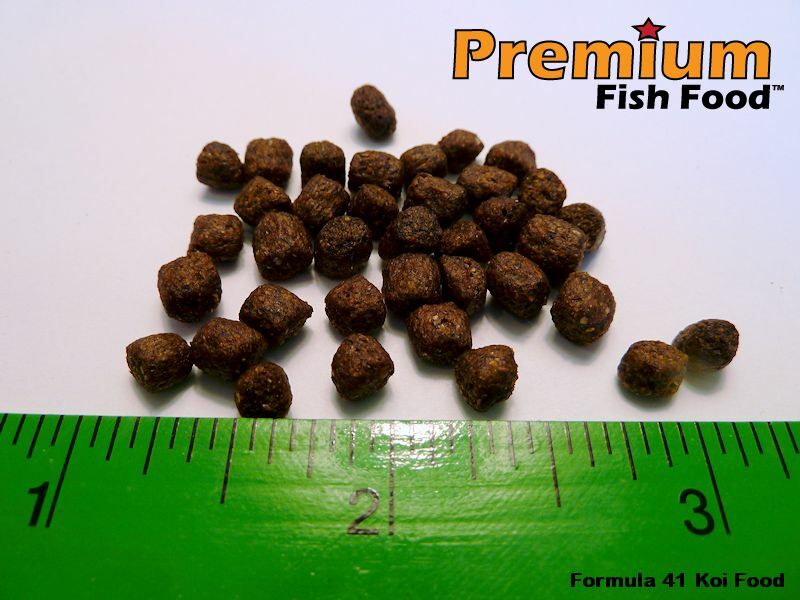 It is highly digestible and packed with essential vitamins and minerals to keep your fish healthy and strong. Contains no corn meal or other cheap fillers often used in lower grade foods. While corn fillers do not harm the fish, they are not as easily digested and often result in increased solids in the water, placing higher demands on the filter. Using a high quality food will lead to healthier fish, cleaner water and reduced fiter maintenance. Feeding Directions: Feed only as much as the fish will consume in 10 minutes. Feed twice daily.